There comes a time in everyone’s life when you have to admit you do need medical assistance with more than just your physical wellbeing. Your emotional and mental health is just as important and any deviations from the norm can be crippling. In my last blog I talked about discussing me need for medication for my ‘Depression’ with my doctor and on his advice I began the said medication yesterday. Day one I had a headache within minutes after taking the first dose. I took the second dose today and I feel so much better. No headache or other sypmtoms of adverse reactions. I am sitting here eating a scone with cheese and chives, I have no headache or any other reactions to the medication and I really feel good today. In fact I feel better today than I have for a long time. I wonder if it’s due to the fact I don’t eat much of any processed foods with all the nasty additives in them. Our bodies have to fight them as well as fight diseases so how can the body win when it’s full of these toxic chemicals? The human body was not meant for chemical consumption. Why do we consume so much of it then? Are we just naturally lazy? Can’t be bothered so I will just open a tin of something… Blah.. I get a kick out of going to my kitchen cupboards and drawers and having a good clean out! I throw out anything I haven’t used for a while (usually those stupid ‘Makes life easier’ rubbishy utensils I buy on special). I sharpen my knives, polish my silverware, scrub the cupboards and drawers and just generally make everything shine. Then bake or cook something fabulous. Even if I’m the only person in the house who is there for a meal, I do eat properly. So it must be the way I eat which makes medications work so well on me without the adverse reactions. There are now quite a lot of medical articles being written about the dangers of additives in the foods we consume. Pets too! They should eat real food not processed. Any wonder why they suffer from so many maladies and die horrible deaths? I’m surprised at the baby formulas too. What do they have in them? Why do so many babies die of such horrible diseases now? They have low immunity if they are not breastfed and I dare say if the mother is a processed food junkie then they will be consuming additives anyway via the breast milk.. Oh do yourself a favour and don’t eat processed foods. There, that’s my grizzle for the day. Jump in and have grizzle too if you want.. below in the comments box. I look forward to reading it. COMPETITION DETAILS ARE READY TO VIEW! Yes it’s up but not quite ready yet. The starting date is Sunday 2nd January. So go to the site and have a look and start thinking about your answers. 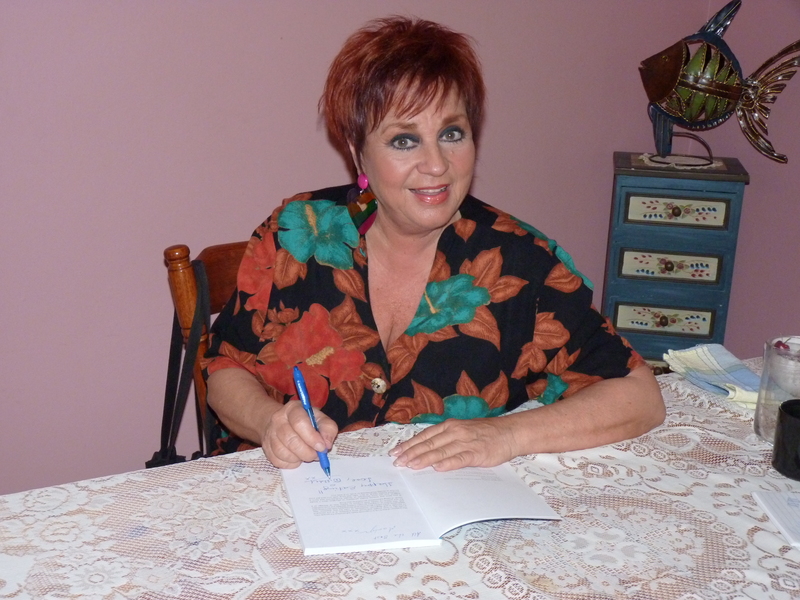 Having Anne Wills sign the book is a first and may never be repeated. So very exciting. It will fit in wih your New Years Resolution to lose weight in such an easy and simple way. Good for overweight pets too. Well the website developer has all the information and now all we have to do is wait until it is on the website. I will certainly let you all know what and when. It’s very exciting. Don’t you just love freebies? So get your thinking caps on, go to the website and read it all first. It might just give you a clue as to what is going on. Most of us know Anne Wills or ‘Willsy’ as we Australians lovingly call her. Anne is a most generous and sweet person. 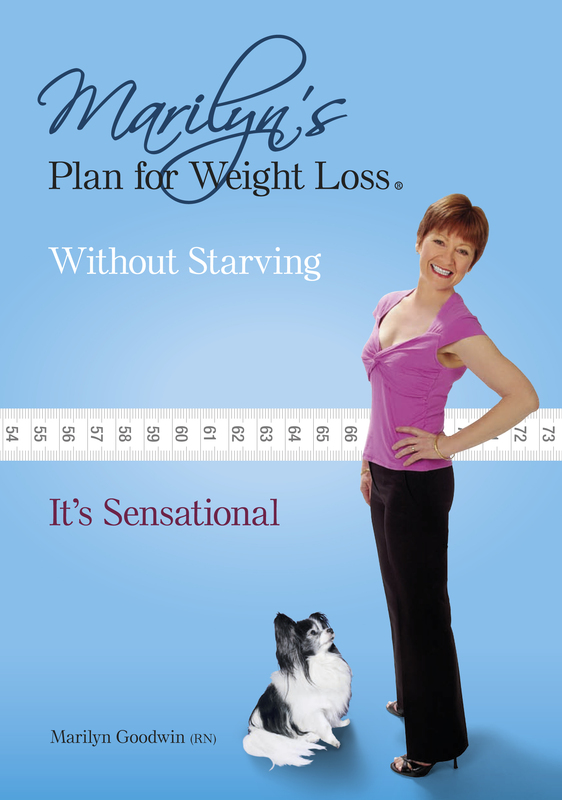 She is also on my website helping to promote my book http://www.marilynsplanforweightloss.com.au Keep an eye out for the competition coming soon. There will be book give aways too. Stuffed yourself on Christmas food? I think we all overate a little. Thoroughly enjoyed it though but I didn’t put on any weight. Want to know why? Because of My Plan for weight loss. It’s really so wonderful. You can either spend the rest of your life buying into fad diets or go for my weight loss Plan which does actually work. Whenever I go to a show where there is a lot of food I know exactly what I can do without putting on weight. You can too. Go and have a look at my website and see what it’s all about. I have a surprise coming soon so keep an eye out for it. Make it part of your News Years resolution. I just read an article about a US model who is so emaciated looking she has basically been told to put on weight or lose her job. I feel so sorry for these poor girls. They are scared to death of putting on weight for fear of losing their jobs and so they just don’t eat. Little do they know, they can maintain a thin (not emaciated) frame and be healthy. When there is no food consumed the body eats into itself including heart muscle and that’s when the trouble begins. They are at risk of cardiac arrest. I would love to see people actually eating and becoming a good weight for their skeletal frame without the risk of harming themselves. When I first lost all my weight I got very thin, in fact my Husband said I was bony. So I put a bit of weight on to cover my bones and it was extremely easy on My Plan. The difference between My Plan and dieting is you can be in charge of what and when you eat and eating ENOUGH food to keep you from starvation’s door. There it is, that word. STARVATION. Overweight people think if they starve themselves they will lose weight but they won’t. You need to give your body the nutrition it’s screaming out for in order for it to let go and allow you to lose the weight without hours and hours of exercise. I encourage a little exercise and daily activity for your cardiovescular system which is a must but I don’t encourage hours and hours of exercise which is just wearing out your body. There is no need for it. With My Plan, I have worked it out as simply and easy as I could to allow you to do it with ease. You don’t have to have a starting date or go out and buy food you’ve never heard of or can’t afford or don’t like. This is one reason I should have called it ‘The Poor Man’s Diet’ Anyone can afford it and anyone can do it. The Principal of the Plan is so easy it can be applied to overweight pets as well and that’s saying a lot. I never have to be overweight again and I really love that. I can manipulate the Plan to suit me now. Look out Festive Food, here I come! Miss Boo in the bin! My little Papillon Boo was a fat little dog and on the advice of my vet and her chiropractor I had to put her and my other Papillon on a diet. I reduced their food intake as advised. Big mistake. After the second day on a reduced food intake, I knew there was something wrong. I was woken in the night by a noise coming from my kitchen. I went to investigate and found Boo head first in the rubbish bin foraging for food. The poor little thing was starving! I shouldn’t laugh but it was a very funny sight to see her in their head first with her two little back legs and bushy tail flailing in the air. I don’t know if she had found something to eat or was desperately trying to get out but there she was. After I pulled her out and cleaned her up I gave her more food and cuddled her. It was then I decided there had to be more to this weight loss thing than stupid diets. Every visit to the vet I would see at least one overweight pet. That’s very sad. Animals rely on us for their health so why not give them good health. I worked out a way for my two Papillons to lose weight, then I tried it on myself and lots of others and it worked every time. It was a success! Now we are all thin and in good health and good spirits. I have never had to reduce the food intake for any of us since then and in fact we eat more food.